Rendition of EchoStar 24 satellite, which SSL is building for EchoStar/Hughes. Photo: SSL. Space Systems Loral (SSL) has selected L3 Electron Devices to provide next-generation Traveling Wave Tube Amplifiers (TWTAs) for its High Throughput Satellites (HTS). According to L3, the new TWTA provides high-power signal amplification and significantly expands SSL’s HTS capacity. Adapting to complex waveforms and enabling high data transmission rates, L3’s TWTA addresses increasing power requirements in the HTS market as well as the International Telecommunication Union (ITU) frequency designation guidelines. 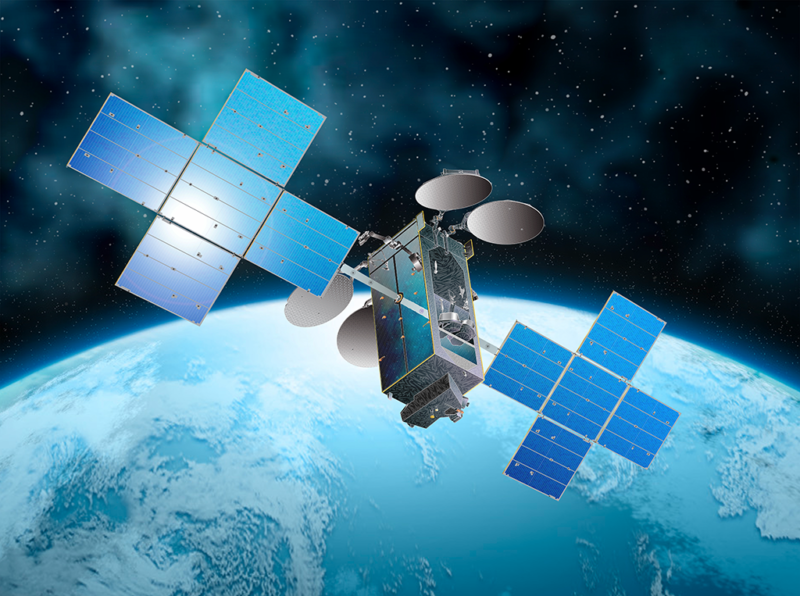 SSL recently signed a contract with Hughes to manufacture its Jupiter 3 Ultra High Density Satellite (UHDS), to be designated EchoStar 24. The new satellite is targeted at key markets across the Americas and will more than double the Hughes Ka-band capacity in the region, Hughes stated. According to SSL, the satellite will feature an entirely new architecture based on technology advances that include the miniaturization of electronics, solid state amplifiers, and more efficient antenna designs.